Tips And Tricks Guest posting? How to do without Request Guest Post? Guest posting? How to do without Request Guest Post? Today we will talk about Guest Posting? How to do without Request Guest Post? This Topic is very important in keeping Google Update recently and if we want to make a Successful Blogger. So for us, it is a very essential Essential SEO Technique. From 2006 to 2010, there was a Golden Period for Blogger, because at that time the Competition was so low that everybody's Post had a good rank of Blogger. But after 2010, a little competition has been increased for bloggers and today Blog, Keyword or Ranking on any page is a challenge in itself. If we search any keyword "Guest Blog" on the internet today. So we get to see the result of it in one, two, 100 or 1000 result no lakhs, millions. This gives us an idea of how much competition in blogging is. If we publish an article on another blog/website with the permission of its owner. It is called "Guest Posting" or "Guest Blogging" or "Guest Post". We all have often seen that many bloggers continue to guest post on another website. Now let us first talk about how and how our blog can benefit from Guest Posting. Because if we are doing any activity by keeping our Career in mind and we do not benefit from it, then it is not fun to do the work nor do that work. Content writing skills in Blogging Career are very important and we often write posts to our blog, while not paying attention to Content Writing. When we write Guest Post on another's blog and send it to Approval. So he checks our post well and if any Mistake (Heading, Keyword, Image etc.) it rejections our post. With this, we try to write content according to the Guideline of that blog and this makes our Writing Skill Improve ours. Value is everywhere, whether it is Personal Life or Professional. 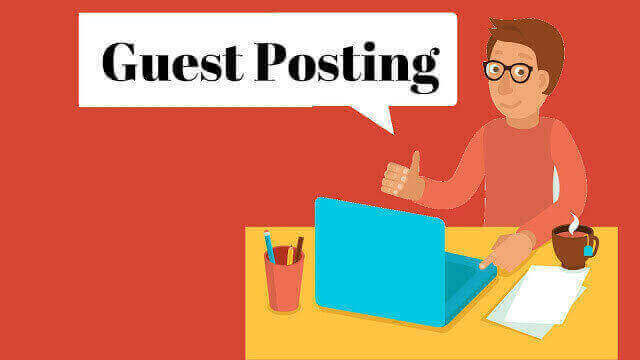 Guest Posting can help in creating a good blogging relationship and can make an identity of us among bloggers. Whenever we write Guest Post on any website, we can earn an Essential Website Backlink from it. Which is very helpful for our website. Through Guest Posting, we can Improve Your Website's Ranking and Quality Website Traffic. As we submit a Guest Post to any other reputed blog, then we can add Hyperlink to a good keyword and improve both Traffic and Ranking through it. This is a very big question for us. When we talk about Guest Posting, that is, what is it saying that Guest Posting? I have not submitted any of the guest blog posts yet. I just shared your article on Direct Guest Blog. So I will tell you here without Request Guest Post. With this, 11 More Medium Share on Linkedin (Non-Guest Posting Website). These are all popular blogs where we can share our article or guest posting without any request, and when our article is approved, we will get information about it. Note - Many people do not give this status as guest posting. But it benefits us as a Guest Blogging. While sharing your article here, we can link to the selected anchor text and earn good traffic through it and a quality website link. I have told about some such guest posting blog here. Where we can post and can increase the traffic of our website.